When completing the installation of electrical transformers several tests are required to determine the electrical, thermal and mechanical suitability for the system where they will be applied or used. Most of the tests performed on power transformers are defined in national standards created by IEEE, NEMA and ANSI. The Transformer Turns Ratio test is used to make sure that the Turns Ratio between the windings of the transformer is correct. With this information, you can decide what the output voltage of the transformer will be. The ratio is calculated under no-load conditions. Simultaneous readings of voltage are taken to low voltage and high voltage windings area taken after the voltage is applied to one winding. The ratio is the division between the high reading and low reading. If it is a three-phase transformer, each phase is tested individually. Commonly known as the Megger test. It measures the quality of insulation within the transformer. Some variations will be obtained depending on the moisture, cleanliness and the temperature of the insulation. It is recommended that tank and core should always be grounded when this test is performed. Each winding should be short-circuited at the bushing terminals. Resistances are then measured between each winding and all other windings and ground. This test will detect the dryness of transformer insulation. It is the ratio of the power dissipated divided by the input volt-ampere multiplied by 100. The test is made with a capacitance bridge, and the connections are the same as for the Megger test. This test can be repeated during the service life of the transformer and verified against the result obtained during manufacturing to check if the insulation is malfunctioning or decaying. This test can be measured after the current has not passed through the transformer for several hours, reaching the same temperature as its surroundings. Winding resistance is calculated by measuring the voltage and current simultaneously, with the current as close to the rated current as possible. Performing this test will allow you calculate and compensate for major component of load losses as a whole. This test on a transformer is either additive or subtractive. When voltage is applied between the primary bushings and the resultant voltage between the secondary bushings is greater, then it means that the transformer has additive polarity. 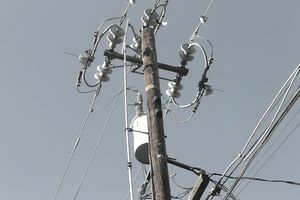 Polarity is a vital concern if transformers are to be paralleled or bank connected. Three-phase transformers are also checked for polarity by the same means. This test will detect if transformers have been connected in a correct phase relationship. It calculates the angular displacement and relative phase sequence of the transformer, and can be tested at the same time as ratio and polarity tests. The voltages of the phase of primary and secondary can be recorded and comparisons made to get the phase relation. An oil sample will detect several things on a transformer. The following tests can be performed with the oil sample. Oil test are really useful to determine the condition of the insulation and the oil so based on these results a maintenance program can be established. The simplest of all. It can reveal potential problems that may not be detected by diagnostic testing. A standard procedure must be established to perform the visual routine test. How Does the Rockwell Hardness Scale Work? How Much Cost Will a Hurricane-Resistant Window Add?